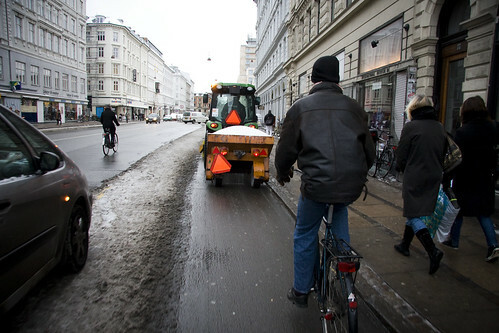 The City of Copenhagen issued a press release last Friday about how the City's stash of salt for the roads and bicycle lanes is very low due to the snowstorms of the past few weeks. 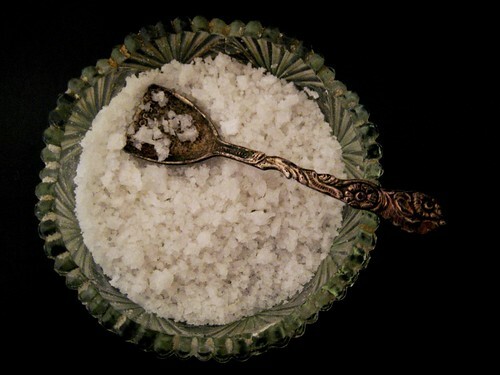 Because of the hard winter conditions of the past several weeks there is a shortage of road salt all over Denmark, including Copenhagen. We must therefore prioritize which roads and paths we salt. At the moment we are prioritising the bicycle lanes/cycle tracks as well as the main approach roads to the city, so that the police and ambulances can get in. Nice to see they have their priorities right. And even with another snowstorm on it's way to Denmark - the third in a week - the bicycle lanes must be kept clear.